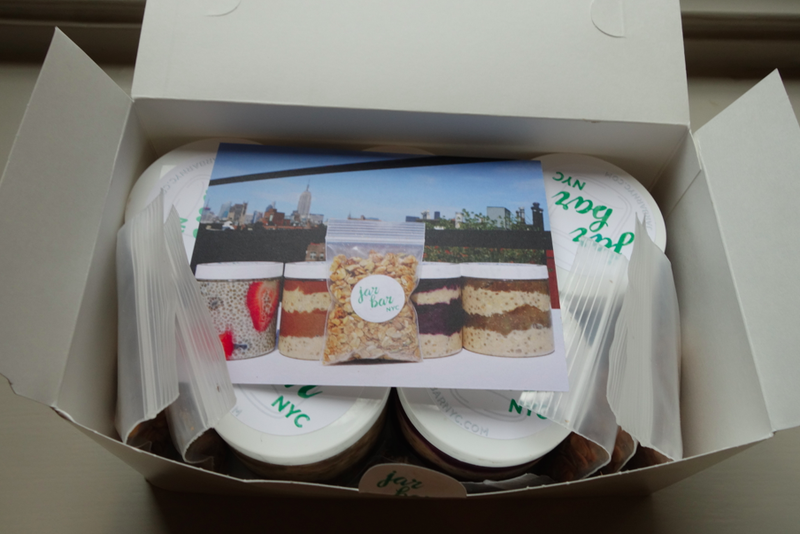 As someone who loves almond milk, berries, nut butters, and oatmeal, I am officially hooked on Jar Bar NYC. What is it? It’s a jar of a healthy parfait / overnight oats and chia seeds made with healthy ingredients (read: no dairy) — the perfect breakfast, snack, or dessert. This mom-and-pop-shop makes the goods at home and delivers them throughout NYC. Box of goodies — ordered a pack of 5, and within five days, they were gone. Every last stinking spoonful of heaven.